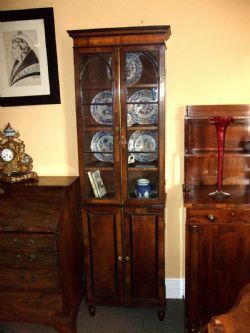 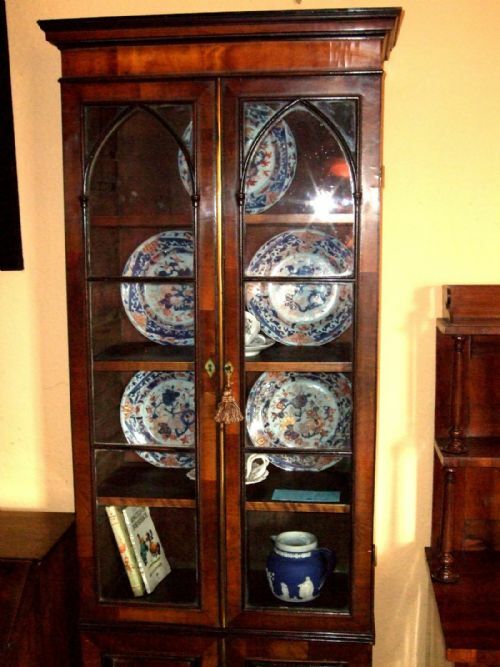 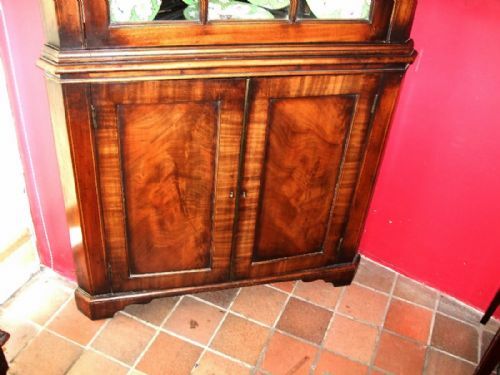 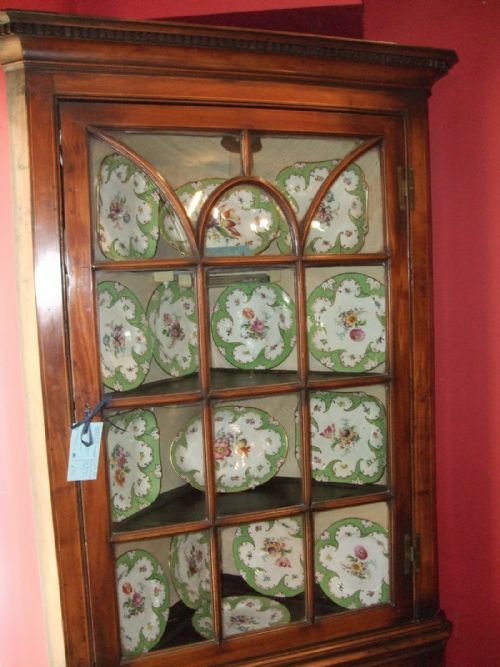 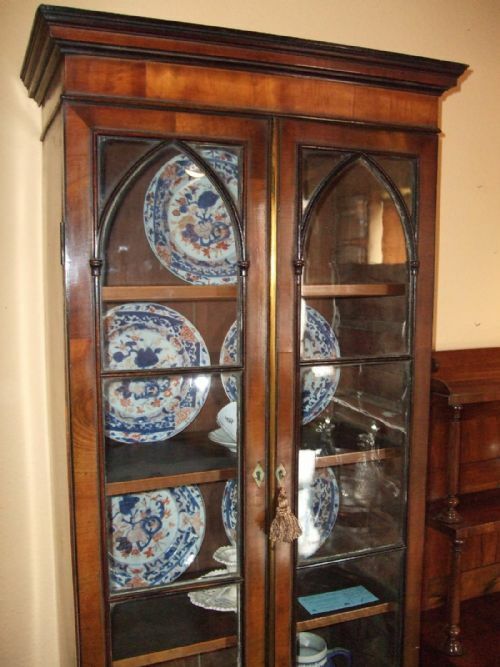 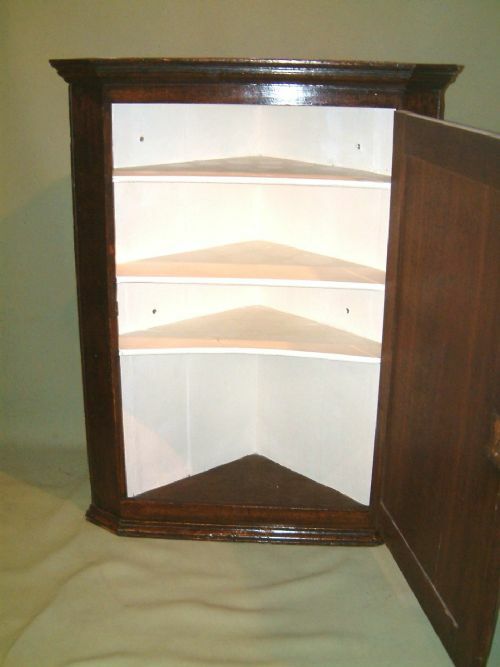 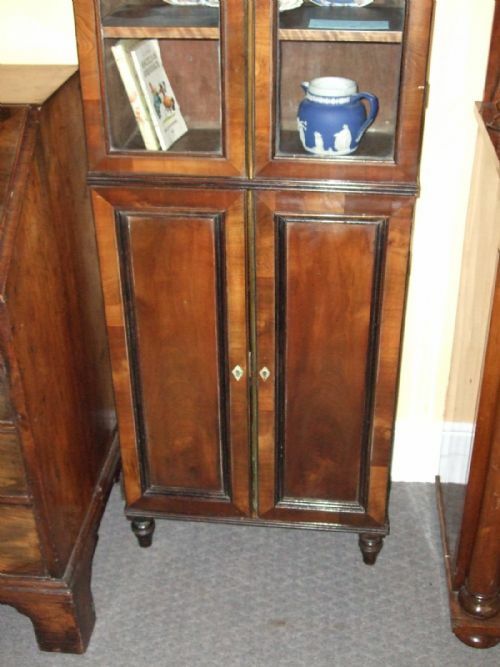 William 1Vth Mahogany & Inlaid Side Cabinet with Glazed Cupboards & Drawers. 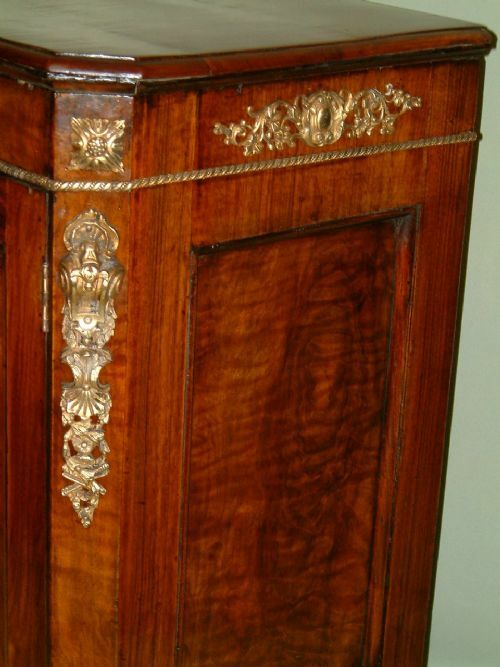 19thC French Walnut Cabinet with Ormolu Mounts. 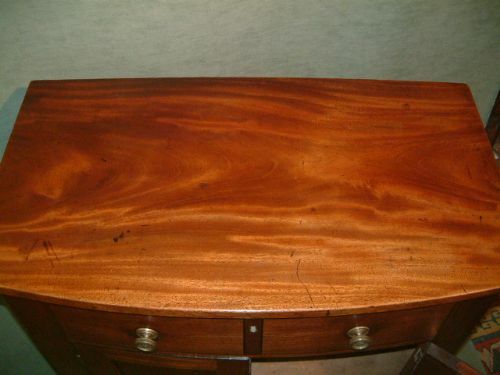 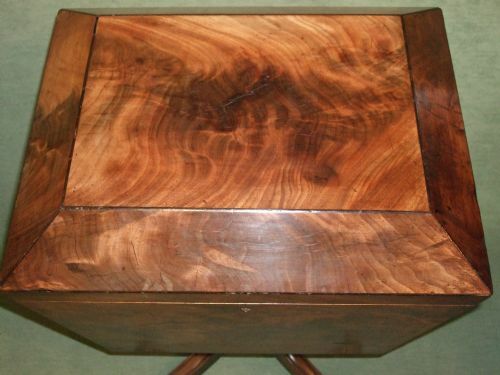 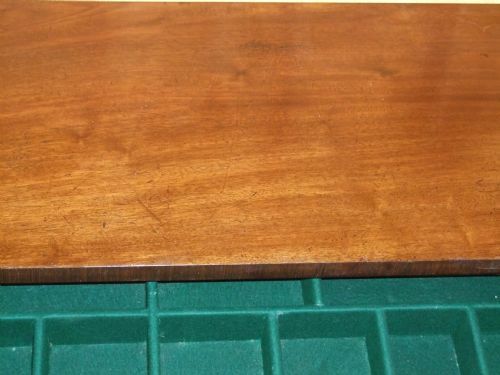 Superb Figuring to the Walnut. 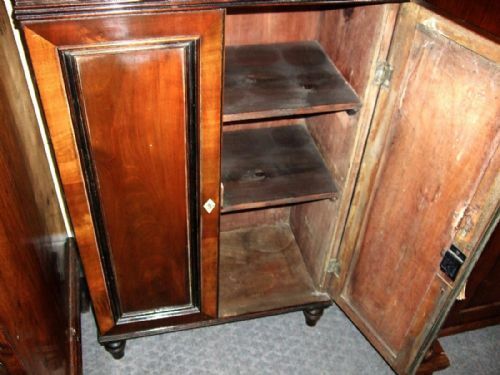 Cupboard with One Shelf. 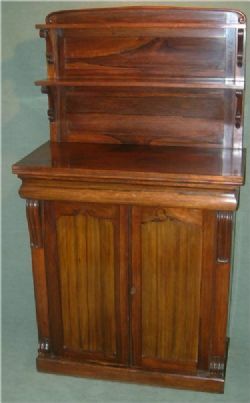 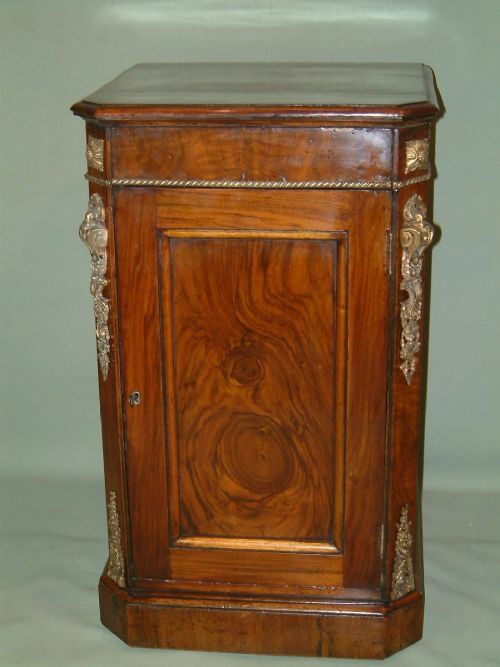 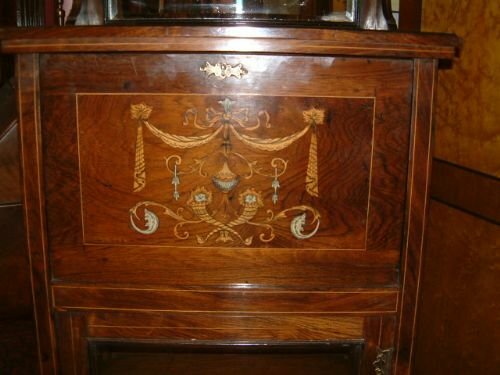 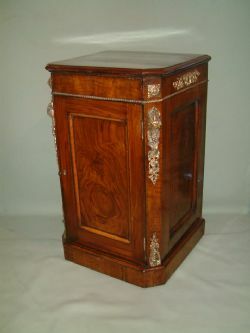 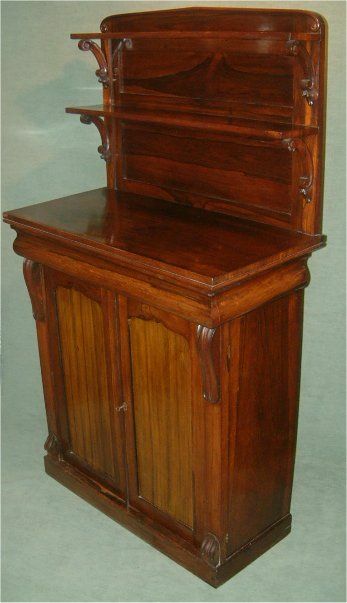 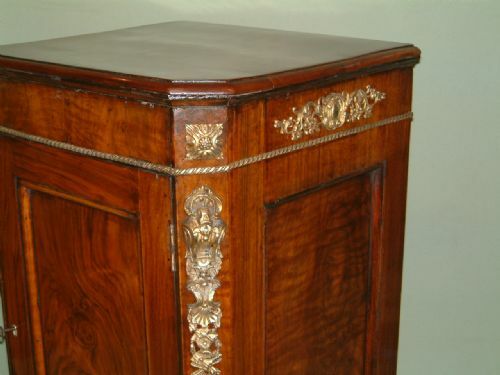 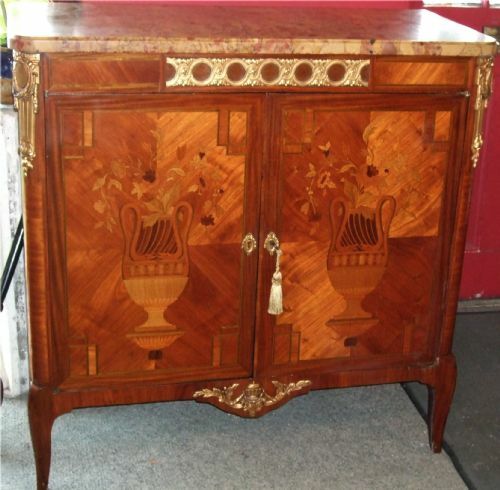 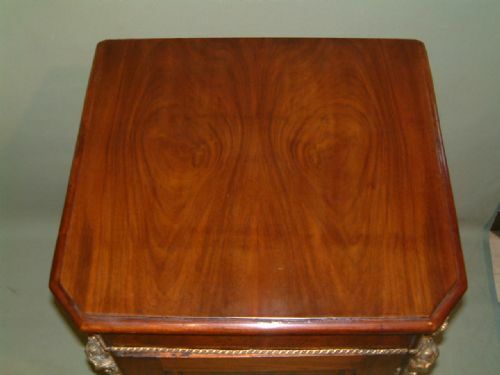 Regency Rosewood Chiffonier Side Cabinet. 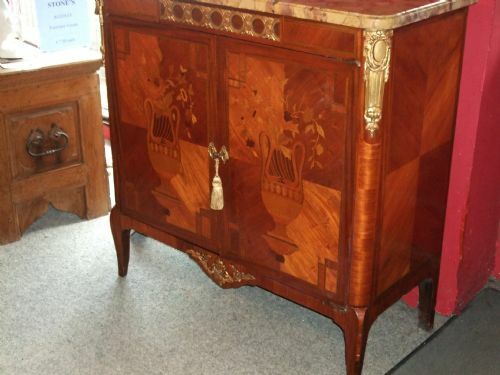 Lovely Rich Colour & Figuring. 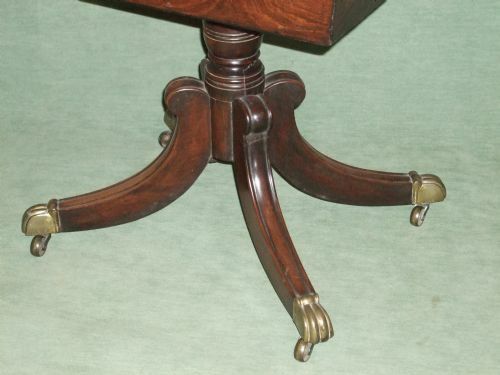 Supported on Scroll Feet with Brass Castors with the Original Metal Liner. 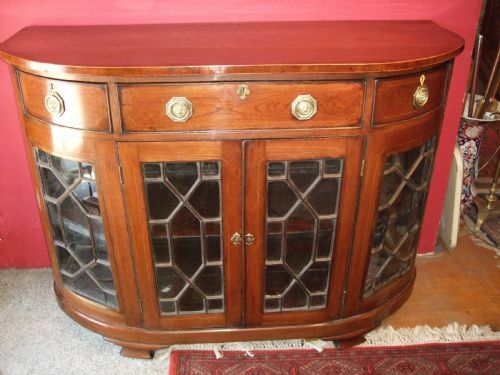 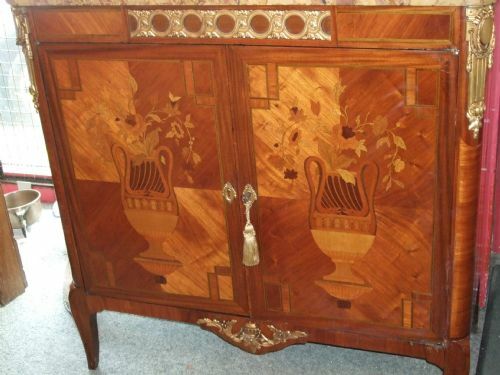 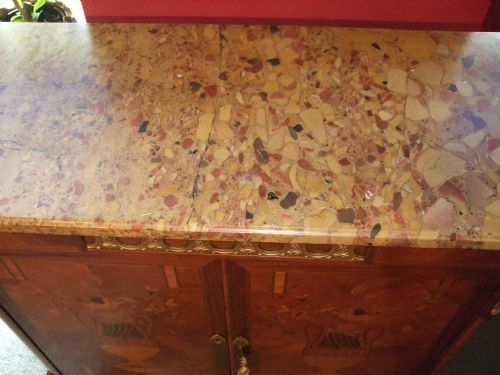 Sheraton Revival Beautifully Inlaid with Swags Shells etc Mirrored Back. 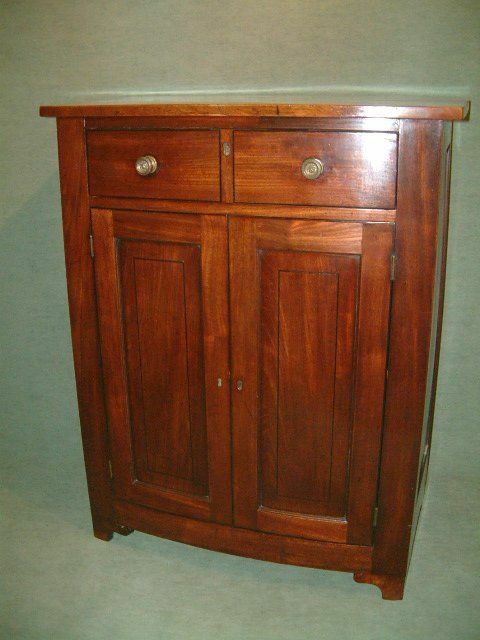 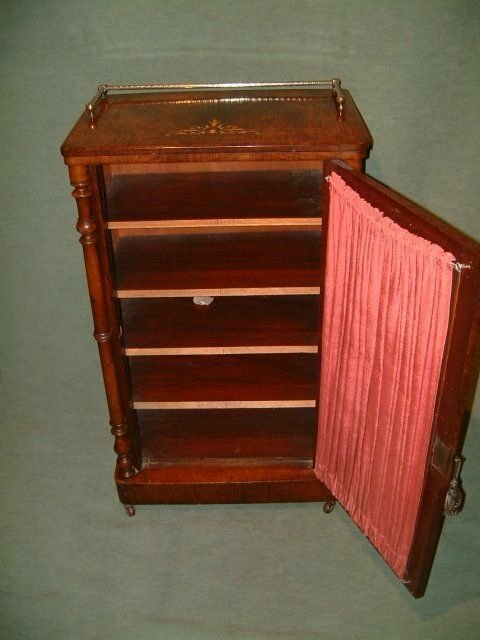 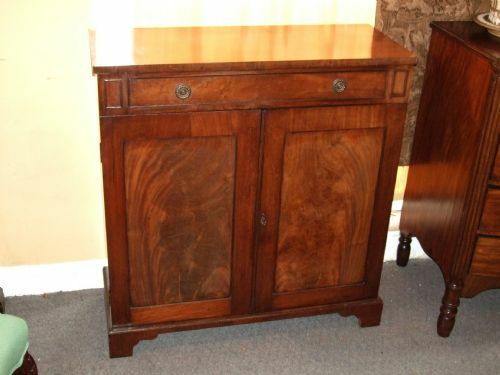 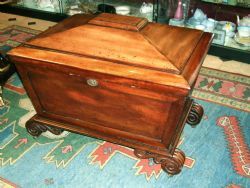 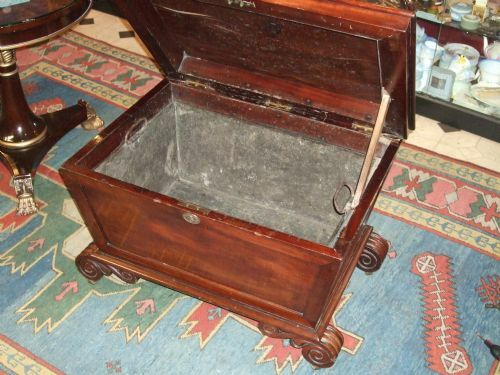 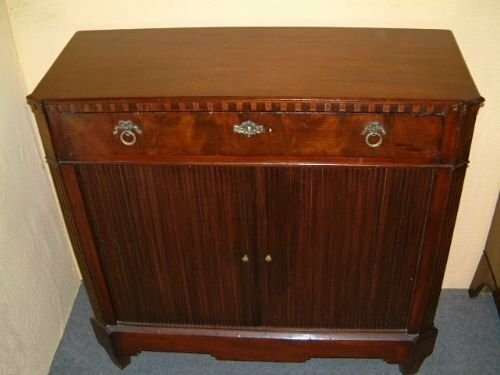 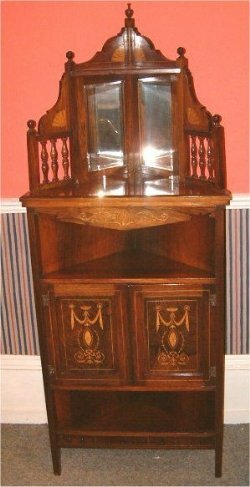 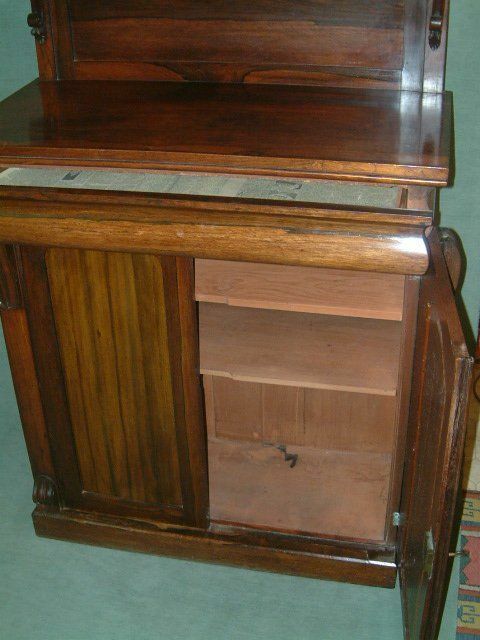 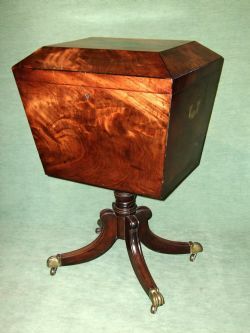 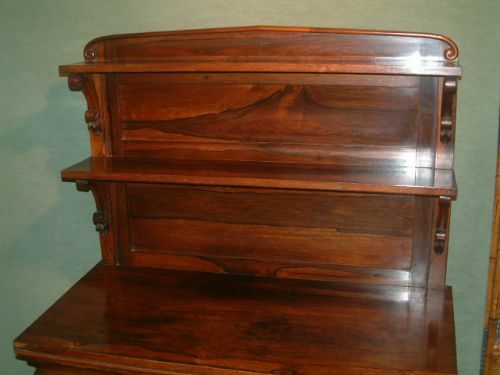 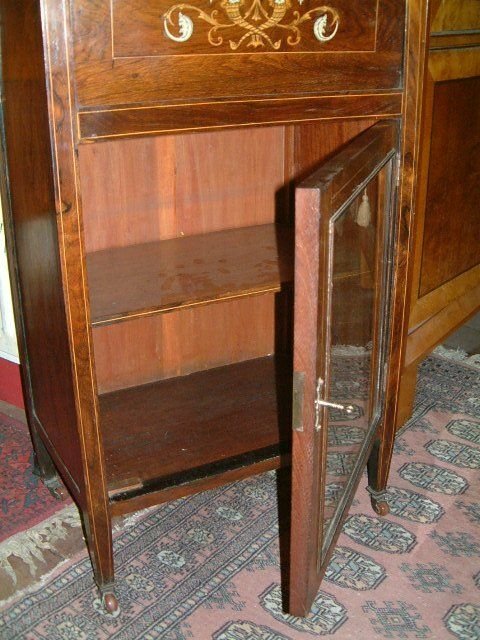 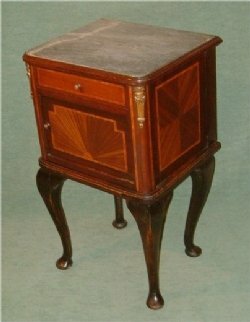 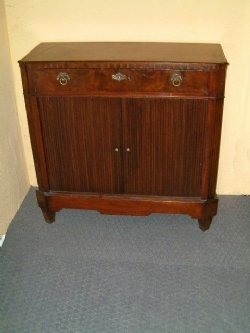 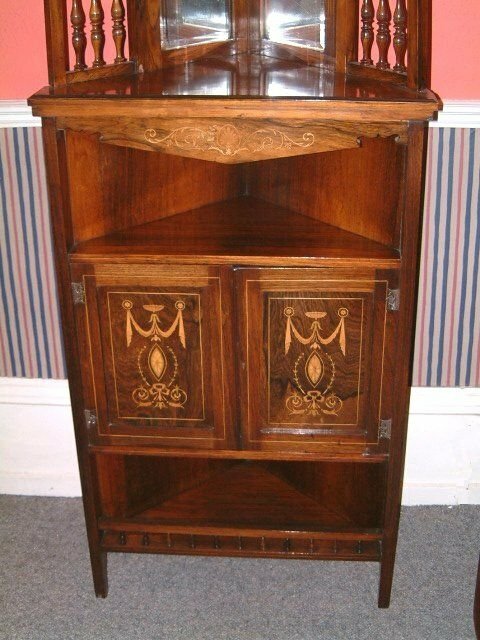 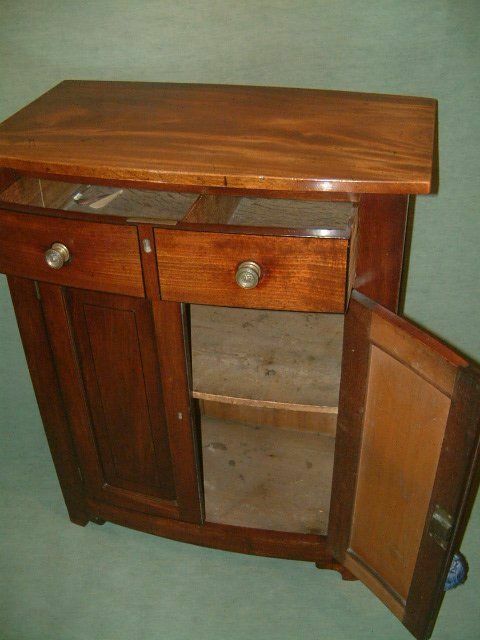 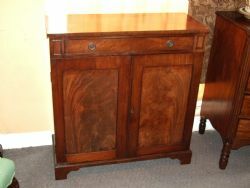 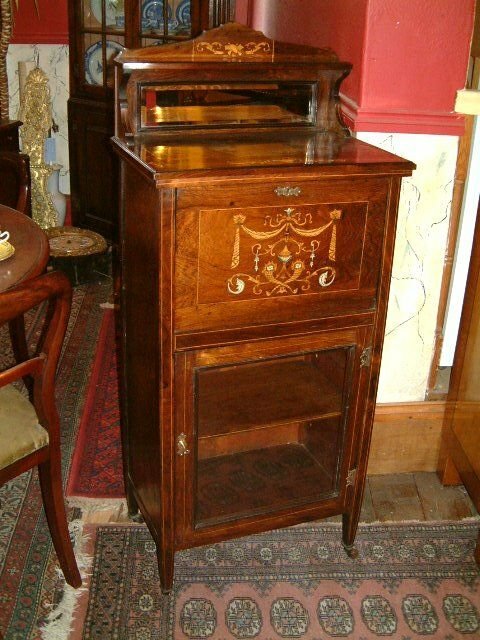 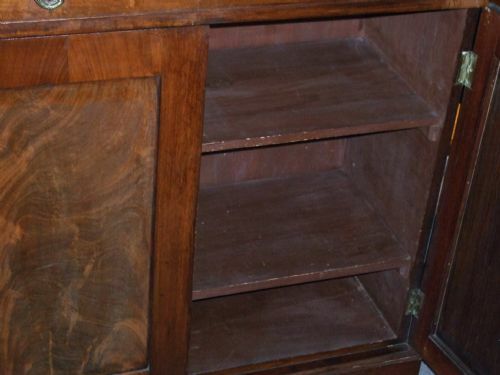 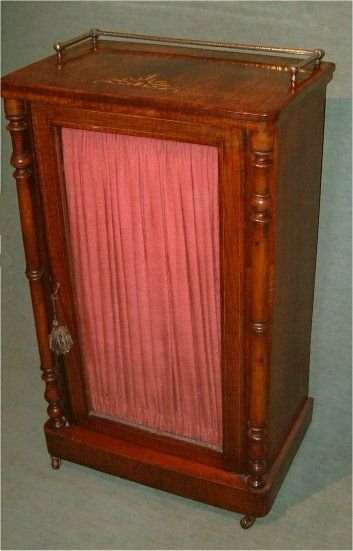 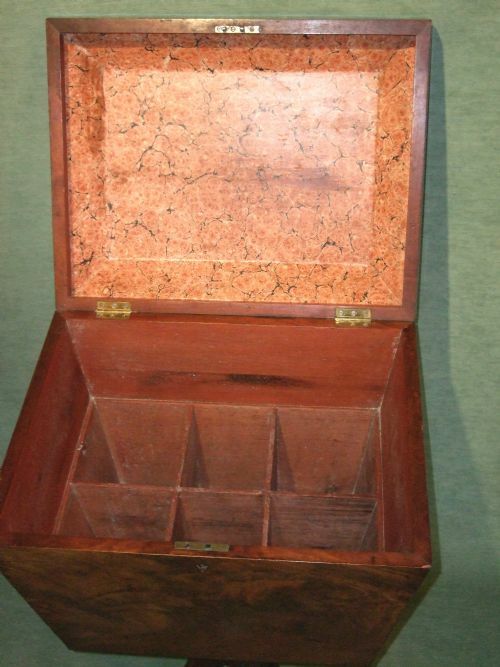 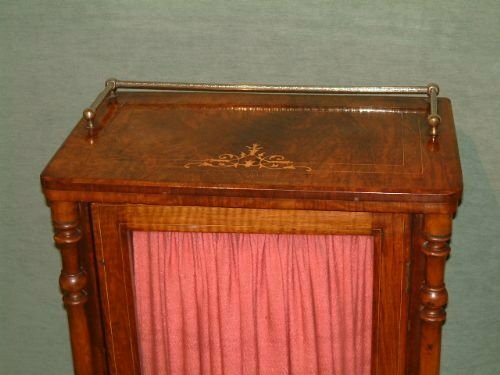 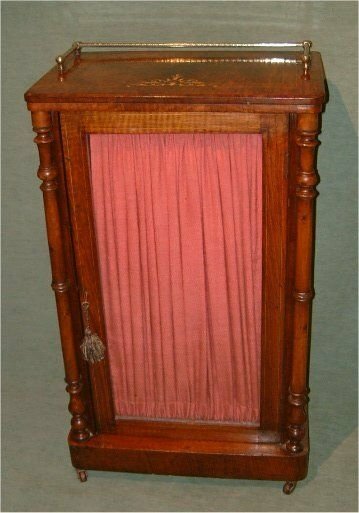 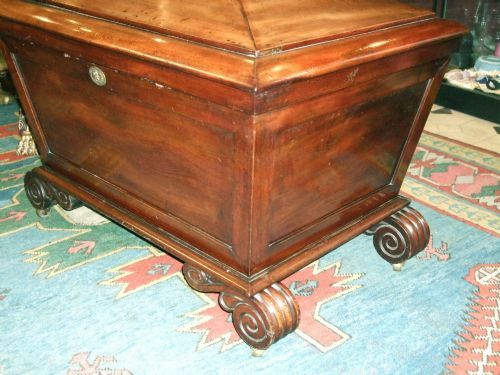 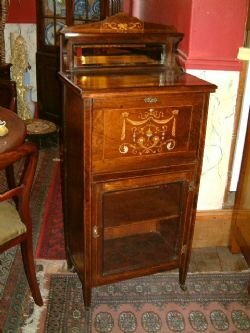 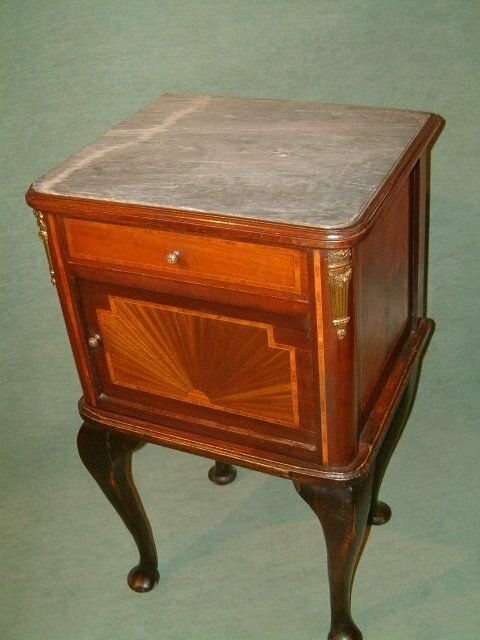 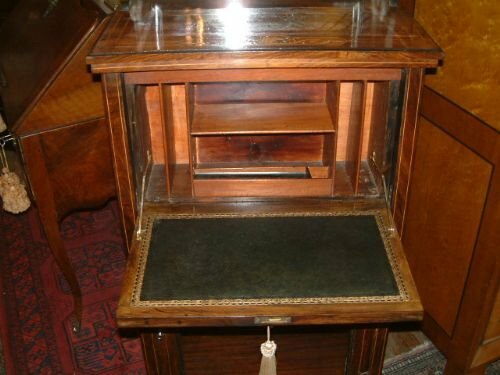 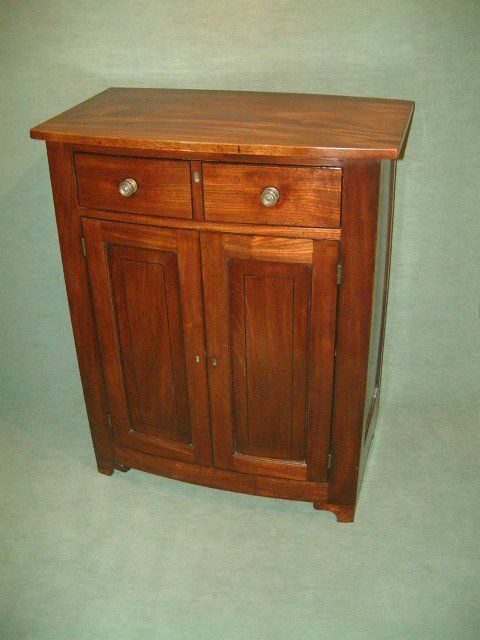 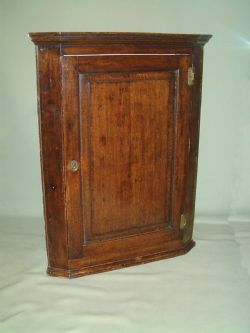 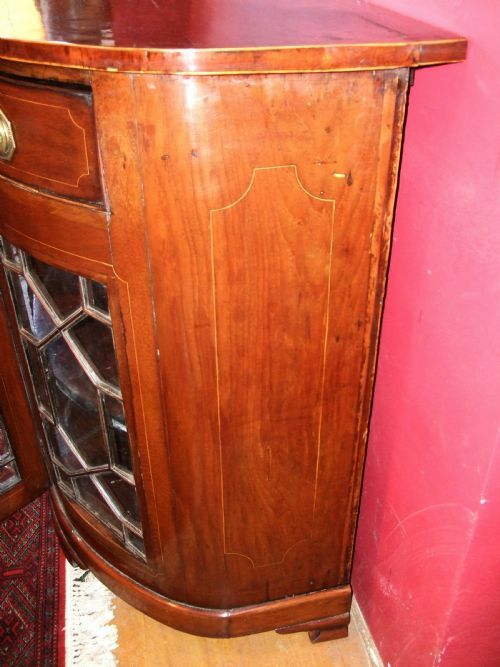 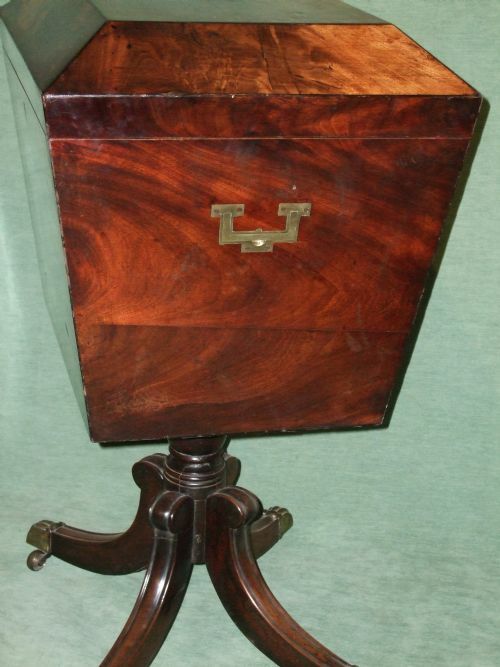 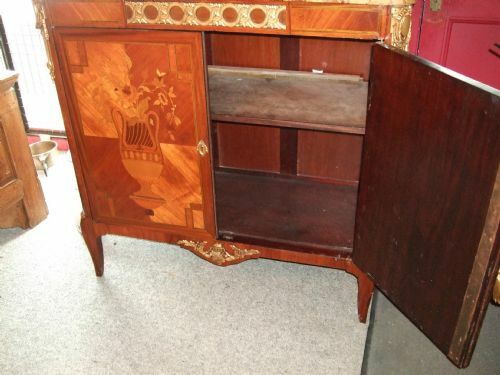 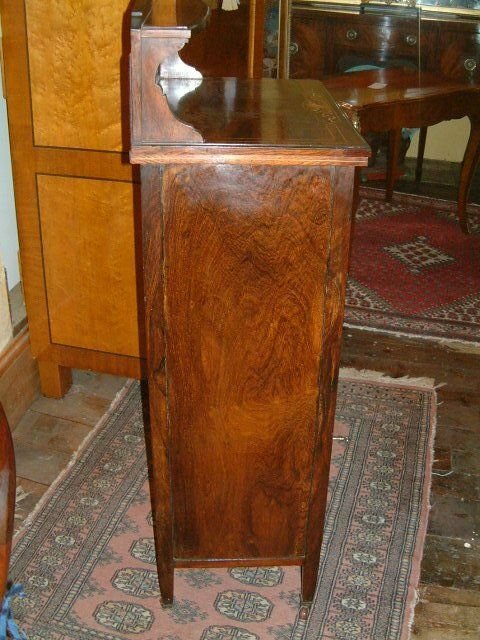 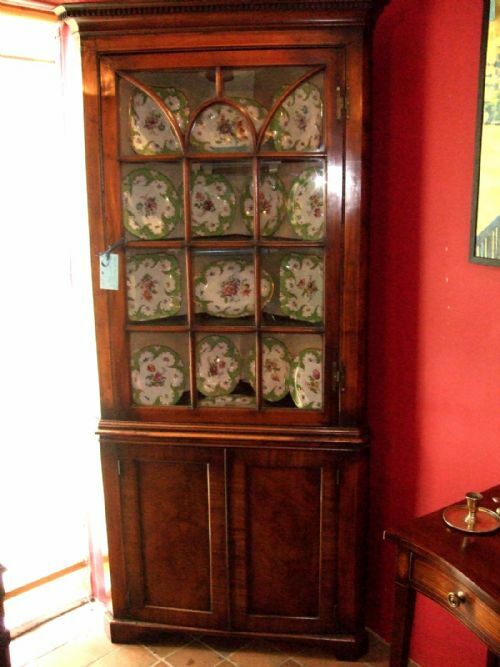 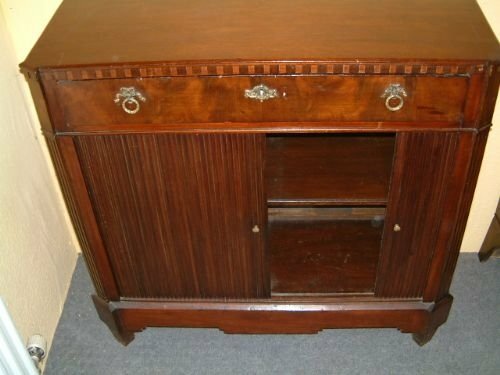 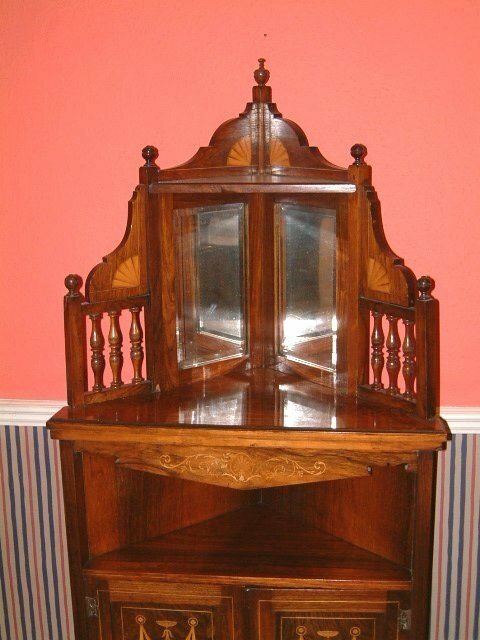 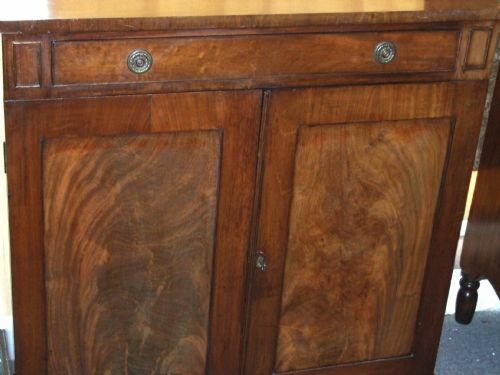 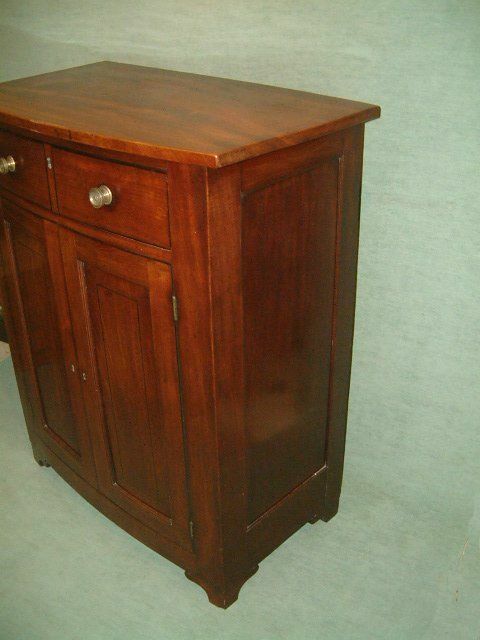 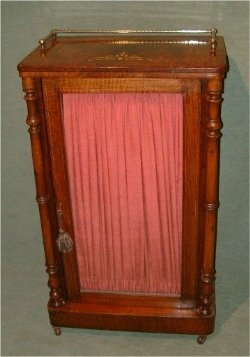 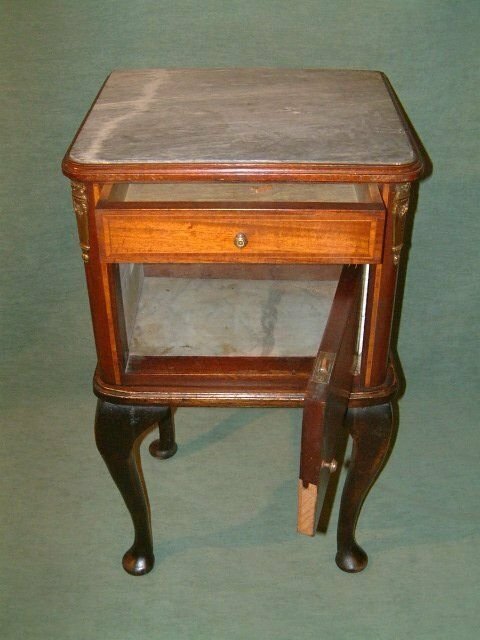 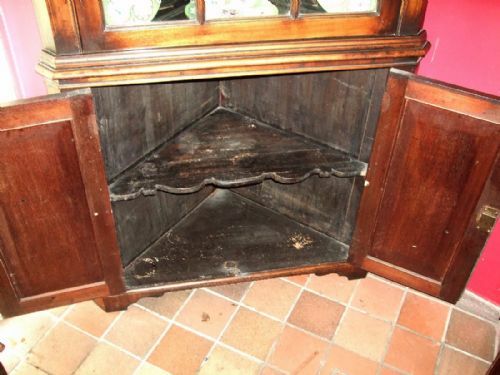 19th C. Mahogany Side Cabinet with Baize Lined Drawer for Cutlery Etc. 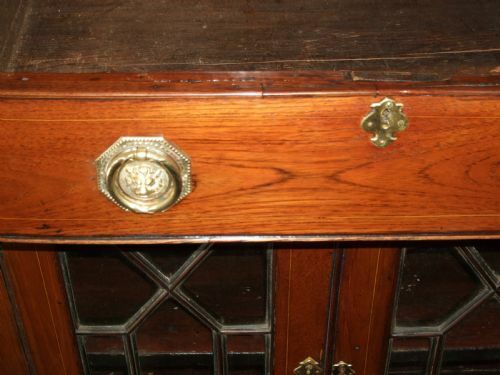 With Brass gallery Rail, Boxwood Inlay supported on China Casters.